Last week was a great week to say the least. Not only was I able to take a couple of days off of work to take my family camping, but my wife and kids treated me like a king on Father’s Day. To be honest, I’m not a big fan of the whole concept of Father’s Day, but heck I’ll take a bit of pampering and great sentiments from my kids. With that said, my wife had suggested that we have her dad and brother over and we would cook out some steaks. As my wife suggested that she do all of the cooking, I quickly sidetracked her and informed her that I would do the cooking. I was not about to buy great beef and have my wife not be able to handle the grill and get the temperature right on eight steaks. No offense, but it was probably best for everyone. So my decision on the meal was a steakhouse fare. Ribeye’s, fillets, rosemary baked potatoes, roasted corn, roasted mushrooms, and a simple salad. That’s when I thought I would make a couple of different compound butters; a cilantro and garlic for the corn, and a blue cheese butter for the steaks. If you have never tried the combination of blue cheese, and beef, well please open that door and give it a shot. It’s such a wonderful combination. This does not get any easier to make, so let’s get started. That’s it. 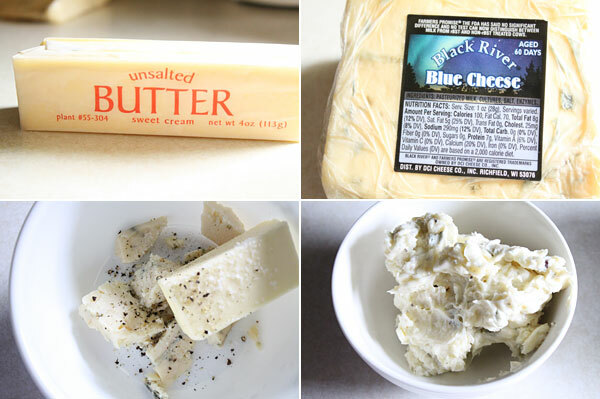 Basically take the butter, blue cheese, and cracked black pepper and add them to a small bowl. Use a fork, and mix, and lightly mash the butter with the cheese. You can roll this into a log within plastic wrap if you desire, but I did not go that route with this one. When your steak is cooked, and still nice and warm, add a dollop of the blue cheese compound butter onto the top of it, and dig in. This butter was a perfect pairing with the perfectly cooked ribeye, and it just made it so much better. Hope you enjoy! 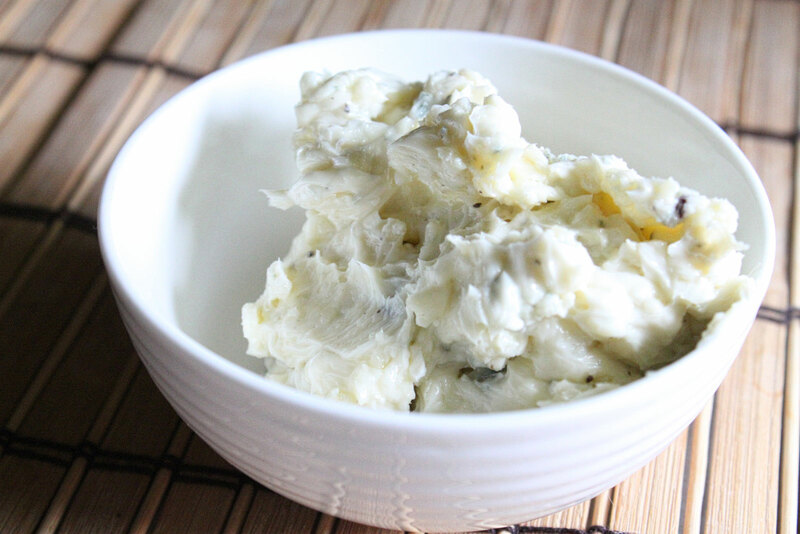 I love compound butters and I bet that this would be fantastic on a big, fat, rib-eye. Thanks for sharing!